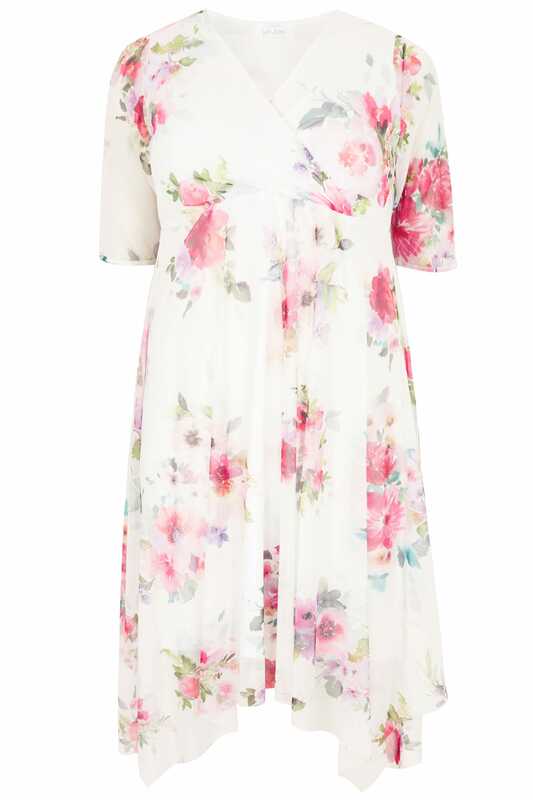 Sophisticated and classic, this Yours London floral dress will have you exuding effortless elegance. Cut to a flattering midi length with a hanky hem, it features short mesh sleeves and a feminine v-neckline. For evening appeal, style with a pair of your favourite high sandals and an understated box clutch. 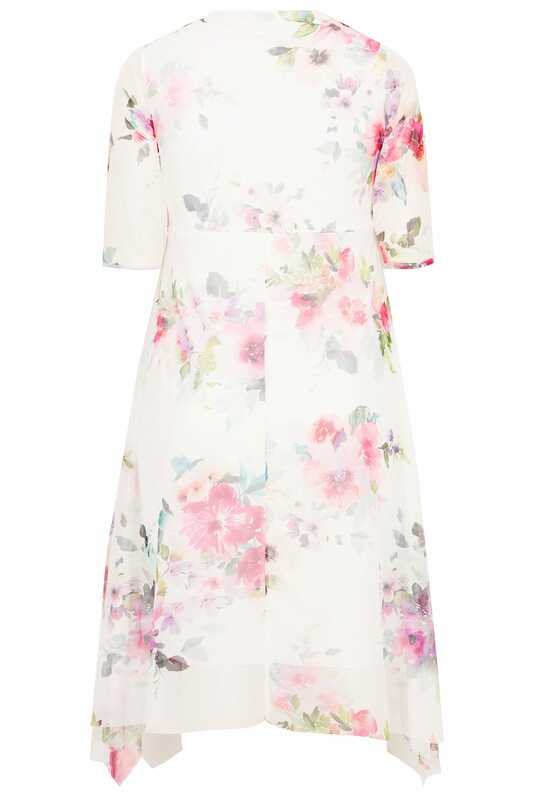 Perfect for a day at the races, weddings and everything in-between!